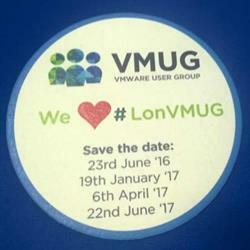 Registration is now open for the 3rd London VMUG meeting of 2017. Join us at TechUK on Thursday June 22nd for your regular VMware ecosystem fix. Hear from VMware on their latest and forthcoming releases, catch a community session and network with your peers or catch an Expert in our new "Track C" room, see a demo from our sponsors, join them in the sponsor room for more specific discussions and round the day off with Luxury vBeers. Of a particularly Luxurious Variety - yes, we're doing it again. Reuniting with our old friends from the past 2 years, we will be heading over to Fourpure for an evening of fabulous beers, brewing information and conversation, mouth watering food from Salty Loins and as much networking as you can handle, all the way through until 8.30PM. Of course, other beverages are available. If you really insist. South Bermondsey overland station is one stop south of London Bridge. A huge thank you to our sponsors, we couldn't do this without them! 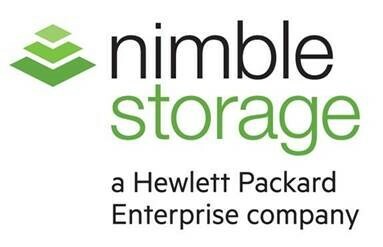 This session describes why Nimble Storage has the industry’s leading VMware integration. Native storage management through VMware, whether traditional datastores or VVOLs, including snapshot backups and replication with automated failover, and virtualisation analytics for the VM, hypervisor, and underlying infrastructure. And an introduction to the latest Nimble product: Secondary Flash Array – a Veeam integrated backup solution. This presentation will look at the ways IT teams are using advanced machine learning-based technologies to move from a reactive mode to a proactive mode delivering important business value. We will look at the challenges IT pros face as they try to manage and optimize virtual IT environments. Next, we will review the emerging landscape of IT operations analytics. Finally, we will discuss new machine-learning based IT analytics tools that are allowing IT pros to see across infrastructure silos and into the complex interactions between components. Learn what this new holistic approach means for today’s IT teams.